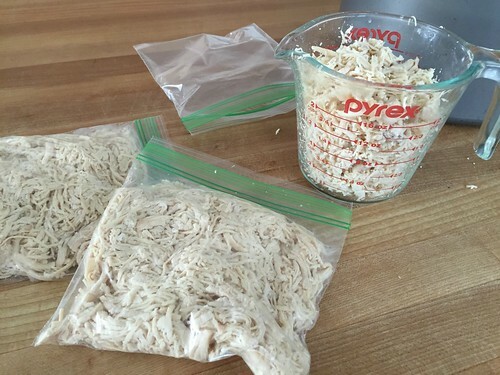 Since I share lots and lots of chicken recipes here on my blog, and since I frequently cook up several pounds of chicken to shred and put in the freezer, I was simply ECSTATIC when a reader emailed me a fabulous chicken-shredding tip a few months ago. Her tip was SO simple… it almost seemed too good to be true! She told me to try using my stand mixer to shred chicken. Since I don’t have a stand mixer, I used my hand mixer instead (not completely sure if it would work). Approximately 10 seconds later, I was shocked that my little hand mixer had almost INSTANTLY shred 10 pounds of big, fat, cooked chicken breasts! 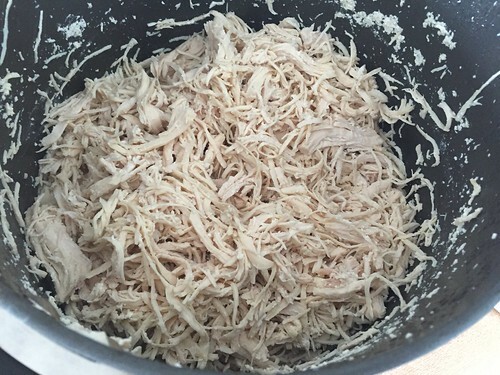 The chicken is perfectly shredded into uniform pieces that are perfect for soups, stews, casseroles, tacos, enchiladas, chicken salad, or just to freeze for later. The most my hand mixer can do at a time is about 12-13 pounds, but I’m guessing a stand mixer could handle more since it’s sturdier than a hand mixer. Also, I’m guessing a food processor would work well too — but I hate washing all the little pieces of a food processor! 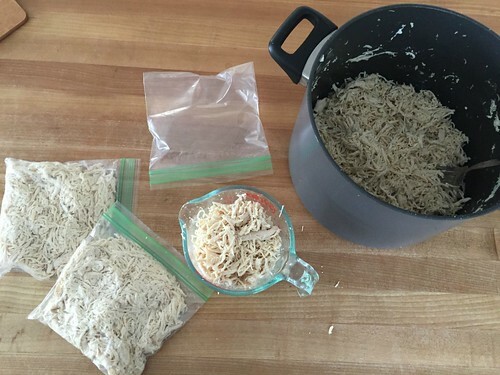 This might just be my new favorite kitchen quick-tip! Oh, and speaking of shredding lots and lots of chicken — I’ll soon be shredding close to 40 pounds of chicken breasts! Anyway, since one of my healthier habits for 2016 is to eat less processed meats, I decided to order 40 pounds of chicken breasts!! Yes, that’s a lot of chicken for our little family! I’m SO thankful I learned this tip before I picked up my massive amount of chicken — I can’t even imagine how much time it will save me! 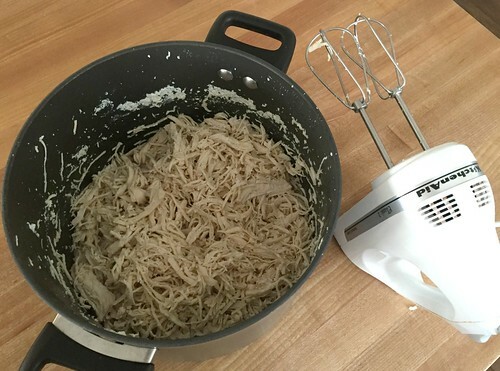 Have you ever tried shredding your chicken with a mixer? I will certainly be using the mixer to shred the chicken breast. I wonder how it would work with pork or even a chuck roast. I’ve never tried it with pork or roast yet — but I’m sure it can’t hurt to try! I sent Zaycon a message. We are trying to eat healthy meats. 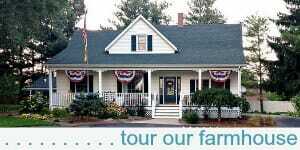 I asked them if the Chickens are free range and GMO free feed. And for the beef if they are grass fed and if any of their meat is organic. Costco’s chicken is cheap except for the Organic. Thanks for the tip on shredding. I tried this with pork. LIFE IS OFFICIALLY CHANGED! Thank you for posting this!!! haha — I had similar thoughts after trying it with chicken! Glad it works for you too!! I tried Zaycon and ordered both ground beef & chicken breasts from them. I had a bad experience where the truck driver delivering the product made all of us wait WAY past pickup time because he wanted to reorganize the load in his trailer. No joke. There was a huge line of us and nobody was happy. I contacted Zaycon since there is a set pickup window for a reason, and they ended up putting a nice credit into my account. But, I have left the credit there because I am not sure I want to order again. I thought their chicken and ground beef were ok, but definitely not as tender as Tyson chicken or as good a qulaity as the in-house ground beef I get fresh at my local Meijer. Plus, I can buy ground beef in bulk at Meijer when it is on sale for $2.99/lb. I talk with the meat dept and have them package 5 lb packs for me. It is already packaged for me, no separating a huge log of meat. Much less work and time for me, I just pop the packages in the freezer for bulk cooking later. I also bulk cook my shredded/chopped chicken and my cooked ground beef in my crockpot. I toss everything in and several hours later come back to mess free bulk meats ready for packaging for my freezer. Love it!! I have not browned ground beef on my stove in several years, no more grease splattering. From my experience, the food processor cuts it so fine, so fast, it becomes chicken “meal” (dry and powdery) almost instantly. Better to stick with shredding. 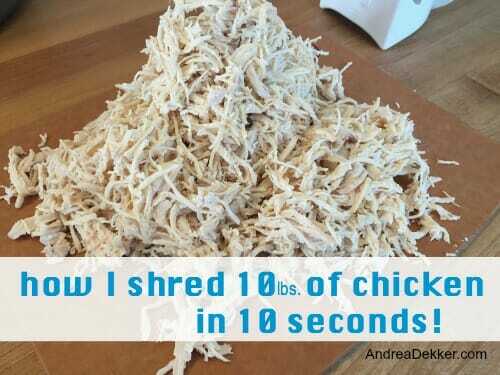 That’s a great tip of shredding chicken! I wonder if it would work for beef or pork. I hope you’re doing something yummy with the water the chicken was cooked in. It wouldn’t have the full flavor that you would have if you boiled a chicken in but it still would make great soup or broth for casseroles. Are you going to do a review once you get the chicken? I see there’s one in my area next week, but my freezers are full and there is no way I could fit 40# of anything in them right now – ha! I would love to hear your thoughts on your purchase to see if it’s worth it the next time they do the chicken breasts. Yes! Love using my stand mixer to shred chicken. What a great tip to use a hand mixer. I did a chicken order from Zaycon last year. I trimmed it all and froze it which took a good chunk of time but definitely worth it to do it up front. Unfortunately we were not super impressed with the chicken. May have just been the batch we got but we’ve been looking for another resource. Hope yours is better!! EVERYONE keeps telling me about the whole chickens at Costco — we need to try one soon!! 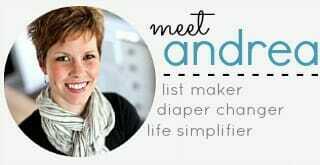 Andrea what a great tip!!! I am definitely going to do this. I usually buy the cooked rotisserie chickens at the market and it takes a while to shred the whole thing. Cooking only the breasts will be healthier and save money! When using the stand mixer, what attachment was recommended? Yes, and then you don’t need to deal with any of the bones either! Like I said in the post, I don’t have a stand mixer, but I’d think that either the regular paddle attachment, or even the dough hook would work really well (but do it on a LOW speed for only a few seconds at a time). This is an awesome tip! Thanks for sharing it. I like to cook my chicken in the crockpot for several hours until done (rather than boiling it) and it just seems to shred almost instantly when I stir it. I’ve tried the mixer trick too, which is pretty awesome! Some of my chicken got SUPER shredded, though, almost to a powder, so I don’t usually do it that way anymore 😉 Maybe since it was in the Crockpot it was too tender to use the mixer?? Hi Kristen, I’m curious how you do chicken in the crockpot when you plan to shred it up (and maybe freeze?) it later? Do you put some liquid in to keep it moist, do you cook it on high or low and for how long? I think this might be a good way to try cooking chicken if you wouldn’t mind sharing your methods! Thanks! 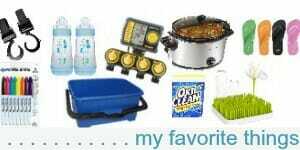 I use my crock-pot. I just throw the chicken in and check back 6-8 hours later. I don’t add anything. I’m the same as Sarah! The chicken makes enough “juice” that I don’t need to add any additional water. (Sometimes I do add a jar of salsa and a packet of taco seasoning to make “salsa chicken,” which is good to use in Mexican dishes!) I actually usually use frozen chicken breasts, although I don’t think that’s technically recommended. And I do freeze it after it’s cooked. Super easy!! Just FYI, I’ve been using Zaycon for about three years now. I recently branched out and tried more products. We took the bacon to our small group this past Sunday night and everyone raved about it. We’ve now tried bacon, pork tenderloin and 93/7ground beef. I’ve loved it all! Thanks for sharing Amber. I missed the deadline for the bacon order — but I will definitely be trying that the next time bacon is available! I’ll definitely try this for chicken. A friend uses her stand mixer to shred pork for pulled pork sandwiches, but it didn’t work so well for me. Some of it ended up almost ground or powdered, and some of it was still in big pieces that I needed to shred with a fork. But it looks like boiled chicken breasts work better. Thanks for the encouragement to try again! Wow! That’s awesome! I wonder if it will work for pork too. Can’t wait to try this. Thanks!! Jennifer, I posted my comment the same time you did :-). A friend uses her stand mixer for pork and gets good results, but it didn’t work well for me the one time I tried it. Maybe the cut of meat was different. And, the pork was cooked in the oven rather than boiled which I suppose could influence the results. I’ve heard that it DOES work well with Pork. I will try that next!! Andrea, when you boil your chicken, are you using fresh or frozen? 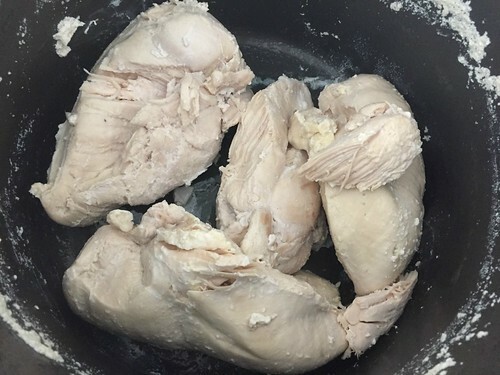 One time I boiled 2 Kg (about 4.5 lbs) of frozen chicken breasts and refroze them once cooked and the taste and texture was awful. Maybe I need to start with fresh chicken? I always start with fresh chicken. I guess I’ve never tried it with frozen before so I can’t tell you if it did or didn’t work for me. However, I do know that you’re technically not suppose to freeze, thaw, and the freeze meat again (something for safety reasons). I have done it many times before… just never with boiling I guess. Maybe try it with fresh chicken once to see if you notice a positive change?? I think this is if you freeze, thaw, and refreeze raw meat. You are cooking it, making it safer. Love that idea! I just cooked chicken Sunday night and shredded it with forks. This would be so much easier! I used to do it with a fork too — definitely try this method! I would have never thought to use my hand mixer to shred my chicken – I will definitely be trying this! I’ve been boiling up chicken for the freezer every few months and I can see where this would be a huge time saver. Thanks for passing along that tip! I discovered this truck last year as well! Saves so much time, and I too was doubtful! I’ve been wondering about Zaycon, thanks for the info!